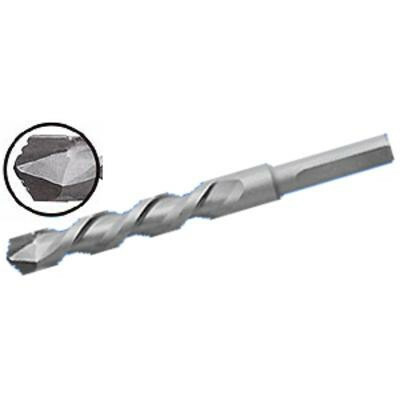 DIAMETER: 3/16" SHANK DIAMETER:3/16" OVERALL LENGTH:7" DRILL DEPTH:5-3/8" PART#:GRT-3-7Specially designed for drilling Extra-Hard materials, this modified ram tip bit has a serrated-edge carbide allowing it to penetrate much faster than a standard masonry bit. When drilling hard-metal, it is best to use the bit in a drill press or in a drill motor supported to provide steady drilling speeds under load. 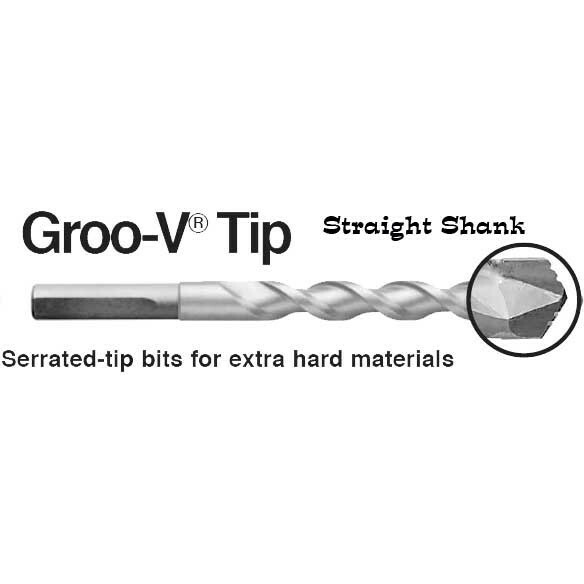 Use on Materials: Tile, Hard Metal, Plastic, Wood, Marble, Granite, Masonry.